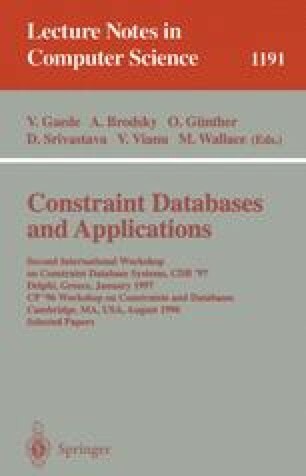 This paper describes general approaches to solving two classes of problems using the DISCO constraint database system. The first class of problems occurs when distinct values from a subset of the integers must be assigned to the variables of a constraint satisfaction problem. The second occurs when a group of items must be selected from a subset of the integers such that each of a set of constraints holds. This work was supported in part by NSF grants IRI-9625055 and IRI-9632871.